The Congress today demanded that the five per cent Goods and Services Tax (GST) levied on domestic LPG cylinder be removed as it was burdening the poor. "The price of domestic LPG cylinder has gone up by Rs 32 in parts of the country after the GST became effective. This is affecting common people, the poor especially. 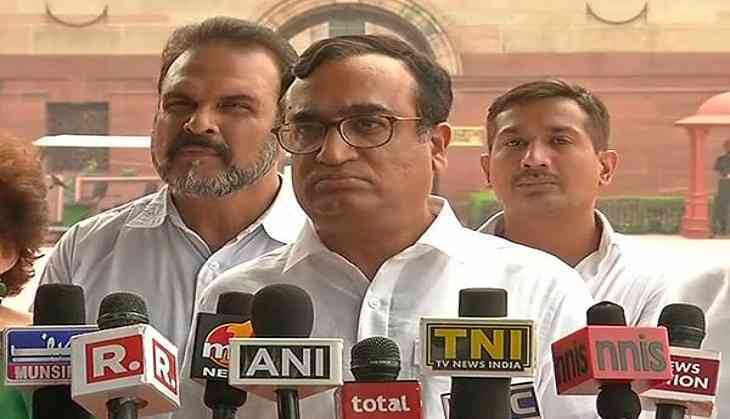 We demand that the GST on domestic LPG cylinder be removed immediately," senior AICC spokesperson Ajay Maken told reporters here. LPG has been put in the five per cent GST slab. Earlier a two to four per cent VAT was imposed on LPG in some states. Maken accused the government of not passing on the benefits of drop in global crude oil prices to people of the country. "The government is making profits to the tune of Rs 3 lakh crore every year by not slashing prices of fuel here. On the one hand, it is making profits and on the other, it is burdening the poor by imposing GST on the LPG cylinder," Maken added. He claimed food and beverages, helmets, hair oil, tooth paste, tea, coffee, butter, curd, cement and mineral water are some of the items prices of which have shot up, notwithstanding the government's assurance that their rates will drop once the GST is in force. Maken also described the GST as 'Gayi Savings Tumhari' (your savings have vanished). The GST came into force on July 1.